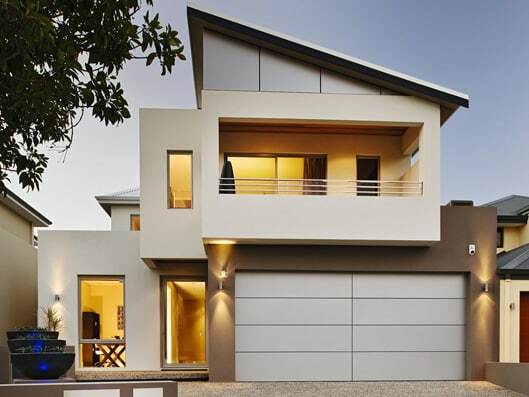 If you need garage doors and garage door openers in Perth, trust Steel-Line Garage Doors (WA) to deliver the perfect solution for your house. When you choose garage doors or commercial doors from us, you can buy direct from the manufacturer and save money. We service all Perth suburbs, including Darch, Clarkson, Beldon, and North Perth, as well as many other regional areas in the state. Check out our competitive prices today! Browse our stunning local projects, and be inspired! 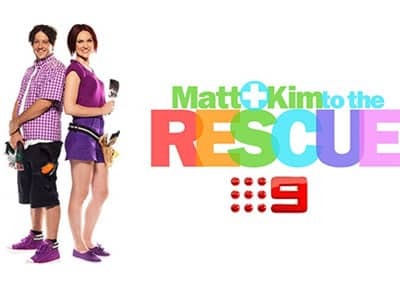 Attadale, Ashfield, Bassendean, Bayswater, Belmont, Bibra Lake, Booragoon, Cambridge, Canning, Carine, City Beach, Claremont, Cottesloe, Coogee, Connolly, Craigie, Currambine, East Fremantle, Edgewater, Ferndale, Fremantle, Gooseberry Hill, Kallaroo, Lower King, Lynwood, Melville, Mosman Park, Mount Pleasant, Nedlands, North Beach, North Perth, Noranda, Peppermint Grove, Ridgewood, Salter Point, Sterling, Subiaco, Victoria Park, Vincent, Waikiki, Wannanup, Woodlands, Yakamia and more. Plus, the team can provide top-quality solutions to customers through their dealer network throughout Western Australia. The company also offers garage door repairs in Perth. Comprised of a number of hinged rigid sections which slide overhead and in the open position sits parallel with the ceiling of the garage. The door is lightweight and easy to operate due to its track and roller system plus accurate torsion spring balancing. Our roller doors combine a unique profile with first class materials making them some of the strongest, quietest and most reliable doors available. 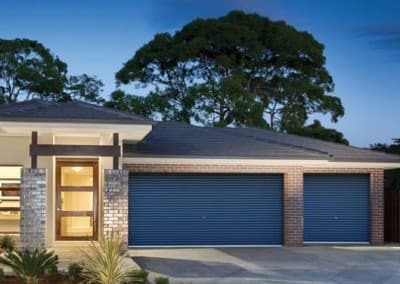 Our DecoWood® garage doors combine the fantastic feel and appearance of timber with the strength of Australian BlueScope Steel, providing you with a product that looks amazing while reliably protecting your home. Our custom garage doors are excellent value for money and allow you the freedom to design a garage door that truly reflects the style of your home at a price that suits your budget. There are 6 Colorbond® sectional garage door profiles and 2 DecoWood® garage door profiles (Ribline and Flatline) are available in WA. 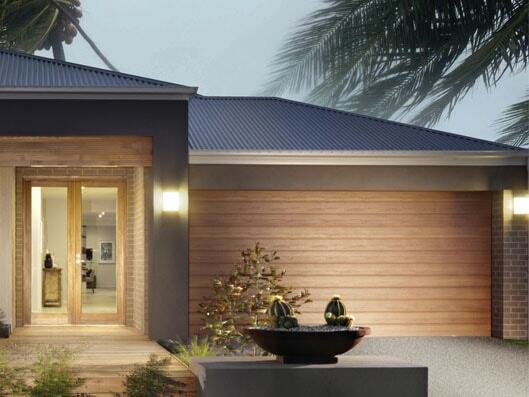 Other states offer 5 profiles for both Colorbond® and DecoWood® sectional garage doors. Windows can be fitted to Stanford, Heritage or Ranch designs in standard Colorbond® colours, excluding Classic Cedar® and Caoba®. Classic Cedar® and Caoba® are not available for roller doors. DecoWood® Garage Doors are available in Slimline & Flatline profiles and in a textured finish. Please note: The variation of monitor’s colour setting may affect the colour perception. We strongly recommend comparing your choice with actual samples. 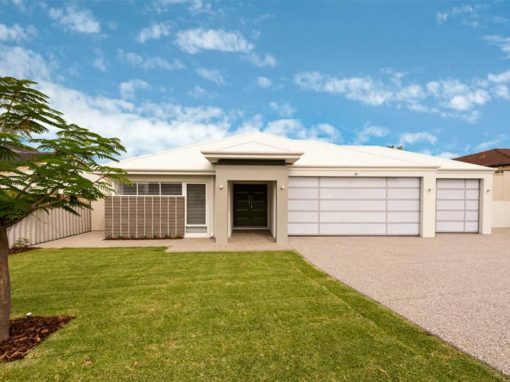 Steel Line Garage doors is located in Wangara WA & they continuously provide excellent services to all over the Australia. 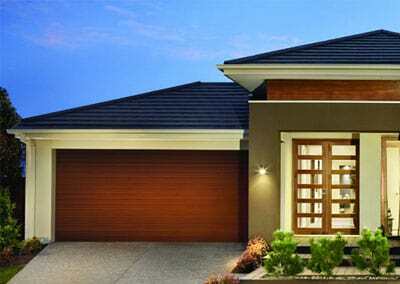 Steel Line Garage doors is located in Wangara WA. If you want a preferred visit, you can call us at 1300-767-900 & can also follow as at facebook, twitter” or also pin our projects at pinterest. If you want to reach our office from the Perth airport just follow these simple and easy directions. When you are ready to leave the airport.Just take a turn to Brearley Ave and Dunreath Dr to Tonkin Hwy/State Route 4 and continue on route. Now, take a turn to Alexander Route 56 to Motivation Dr in Wangara & continue to Triumph Ave and there, we are waiting for your welcome. 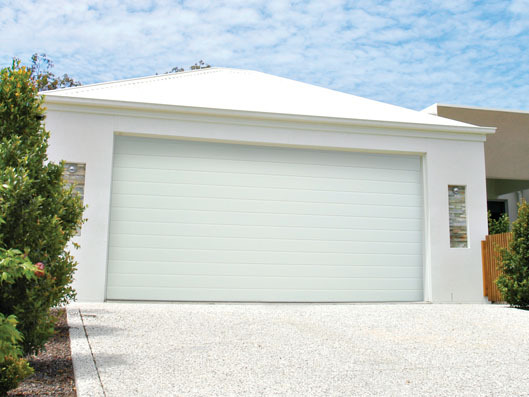 Steel-Line has been designing and manufacturing quality garage doors in Australia for 40 years. 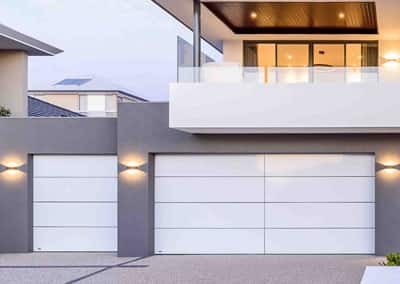 We manufacture residential garage doors and commercial garage doors from high-quality Australian steel and other materials which are best suited for the extremes of the Australian climate. Steel-Line also offers a range of colours, materials and designs, and quality customer service. In addition to our large range of standard garage doors, we also offer custom garage doors to suit any innovative designs that homeowners, architects and builders may have. At Steel-Line our focus has always been on manufacturing quality products. 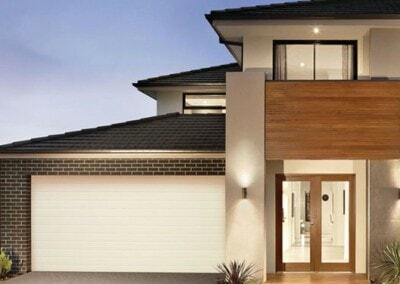 As a result, we have become the largest garage door manufacturer in Australia. 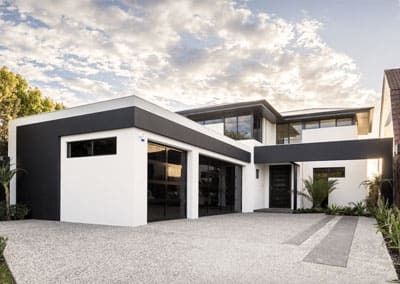 Over 2,000 builders across Australia install Steel-Line garage doors, and this includes 62 out of the Housing Industry Association’s ‘Top 100’ builders. We are the only national garage door supplier with its own branch network, so you deal with the manufacturer, not a third party. We not only manufacture the doors, we also install them and provide maintenance and repairs. So whether your doors are residential, commercial or industrial, you will always have our direct support. We have branches in every capital city and a number of regional areas so our customers always have a local contact. As a result, Steel-Line has an excellent customer service record. Where Steel-Line scores 50+ on the Net Customer Satisfaction Measurement, other companies in the industry only score an average of 9. 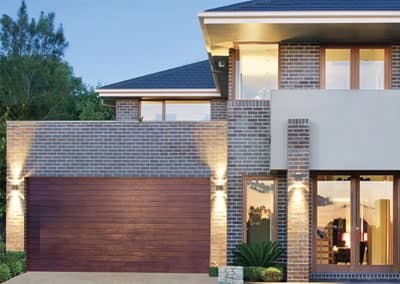 The Steel-Line garage door company has the largest range of colours, styles and materials for garage doors in Australia. We also keep up-to-date with the latest technologies. Australian conditions provide unique challenges. 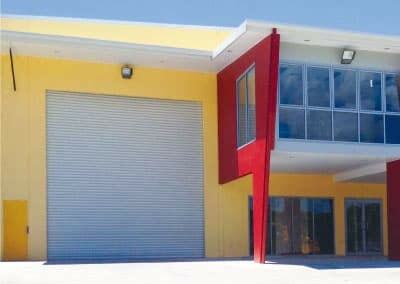 We have garage doors to suit all conditions, including a large range of garage doors suitable for cyclone areas. Whether your garage door is sectional or roller, Steel-Line has a garage door opener to suit your door. Our openers can be fitted to all of our garage doors, as well as most popular brands of garage doors, and accessories to suit your requirements. Selecting the right opener depends partly on the construction of your door (sectional or roller door). How much horsepower the garage door opener has also depended on the weight of your door, and how frequently you use it. All of our garage door openers are incredibly sturdy and reliable, and they carry the RCM logo, which means they comply with Australian electrical safety standards. They also carry safety features such as an auto-reverse system and a built-in safety timer. Our accessories include not only remote controls, but also security keypads, a visor mounted transmitter for your car, and even the state-of-the-art technology of photo-electric beams. Steel-Line does not use contractors. We have our own technicians who will install the garage door opener for you. Steel-Line garage doors, openers and accessories can be ordered directly from a Steel-Line branch near you, or through our extensive reseller network around the country. Keep an eye out for new products. We have special introductory offers when we launch new products. Steel-Line manufactures commercial and industrial doors that provide practical functionality while maintaining a stylish appearance. Our commercial and industrial doors meet all of the important requirements of your business. Our products combine strength, security and reliability, so you can rest assured that your business is safe. 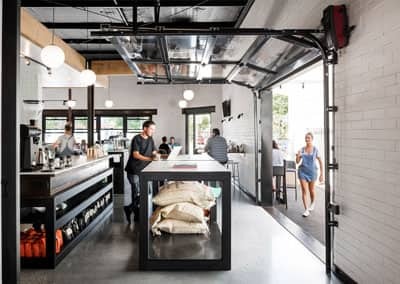 Commercial doors are used in both interior and exterior settings; everything from shop fronts, markets and warehouses, to hospitals and aircraft hangars. Because the door is part of the image of your business, our commercial doors and industrial doors come in a wide range of materials, styles and colours which are secure, stylish and aesthetically pleasing. We also provide custom door design to suit your business. We manufacture and install counterweight doors, folding doors, aluminium roller shutters and grilles, and steel roller doors. The Steel-Line door company offers user-friendly options such as ventilation and easy opening and closing. We cater to all of your specific needs. Our commercial doors are made in Australia and meet Australian industrial standards. We manufacture and install all of our doors and they all come with after sales service. At Steel-Line we have our own highly qualified service technicians who are available to service all makes and models of our commercial and industrial doors. They can also provide diagnostics to identify and repair most problems that your door may have. We have qualified technicians throughout our branch network which covers all states and territories across Australia. We offer competitive rates for specialised services. When you decide to replace your old garage door, Steel-Line will remove your old garage door and install a garage door of your choice. All Steel-Line garage doors are covered by warranty. The Steel-Line garage door company has an Australia-wide network. We have over 60 residential installation crews operating out of 21 branches and we install over 60,000 residential garage doors per annum. Call 1300 767 900 to contact your local Steel-Line branch.